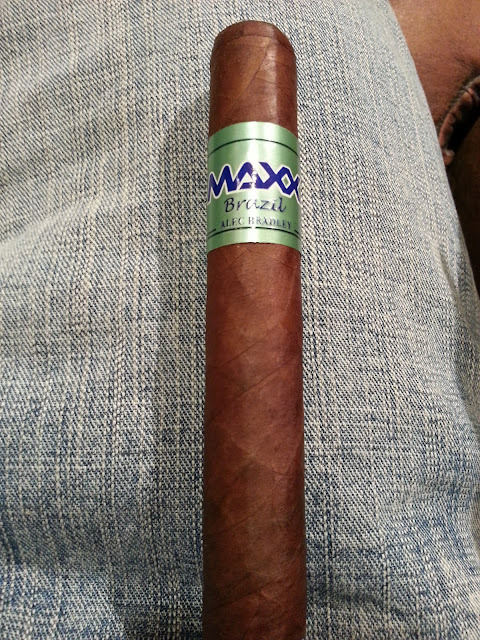 Appearance (0-20): Something new for Alec Bradley, the Maxx Brazil has a different look. The odd green band is the first thing to catch your attention. Both the band and cigar are quite simple, which can be a blessing and a curse. Physically, the cigar appears to have no real blemishes, except a few small minor veins. The wrapper is a quite oily, sporting a medium brown body. Overall there are no flaws, yet there is also nothing too catchy about it. Construction (0-20): No soft spots or anything else funky going on. The burn was very even all the way down, and the draw gave off pretty nice amounts of smoke. 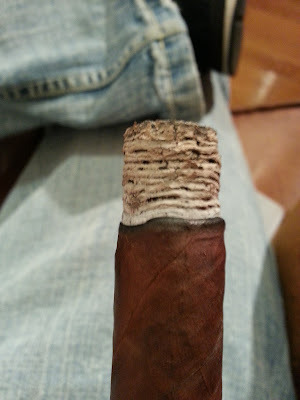 The ash held on very well, tightly coiling for close to one-third of the cigar. All in all, I was happy with how everything held up for a low priced stick. Strength (0-20): Coined as a medium-full cigar, this one sat much closer to medium for me. There are a large variety of fillers incorporated, but I didn’t really get much heft from the cigar. Flavor (0-20): From start to finish, the Maxx Brazil really gives off some nice, consistent flavors. Starting off with some strong notes of nuts, the cigar moved into sweet and creamy. I also caught some flavors of cocoa and woodiness in the middle portion, and they blended together fairly well. While I didn’t notice all of the flavors at once, they did show their face at different times. Value (0-20): Right around the $5 mark, you really can’t go wrong here. 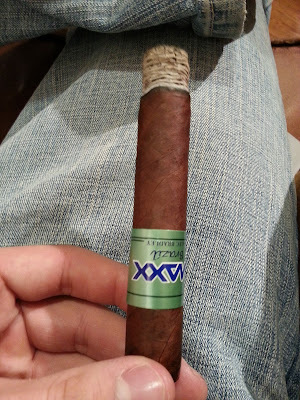 There are a lot of bad smokes out there that really don’t have the quality and flavoring that the Maxx Brazil has. Great smoke any time of day. Overall (0-100): For a change of pace, I think this stick did pretty well. There were some nice flavor notes, consistent burning, and the price was right. I didn’t really notice anything that caught my eye or made me say “wow”, but nonetheless the cigar was good. For right around the same price, I enjoy the AB Maxx Freak a little bit better, which has some fuller and more robust flavors.